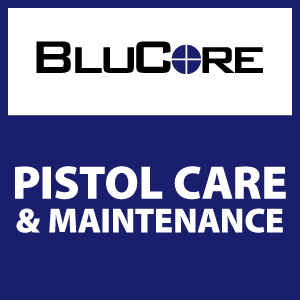 Our Pistol Care and Maintenance Class teaches you how to properly care for and maintain your specific handgun. After a brief review of firearms safety, we will show you how to “take-down,” clean and lubricate your firearm. Upon completion of this class, participants will have an understanding of how to safely and properly disassemble, reassemble, clean and maintain handguns. This class is 90 minutes in length and takes place in the classroom. This course does NOT meet the training requirement to obtain a Colorado Concealed Carry permit and does cover the assembly, disassembly, and cleaning of a firearm. Requirements: No previous firearms experience necessary. Students will need to bring their own semi-automatic pistol. Cancellations: If unable to attend a scheduled training class, participants must cancel via this contact form or by phone. Cancellations 24 hrs before scheduled class will not receive a refund or be put into another class. Cancellations 48 hours or more can receive a refund of 40% of what they paid for the course. Cancellations 72 hours before scheduled class can receive a full refund minus a $25 restocking fee. Cancellations 48 hours or more can also use a one time only class reschedule of the same course. Select the session you'd like to attend. You may select one or more session.